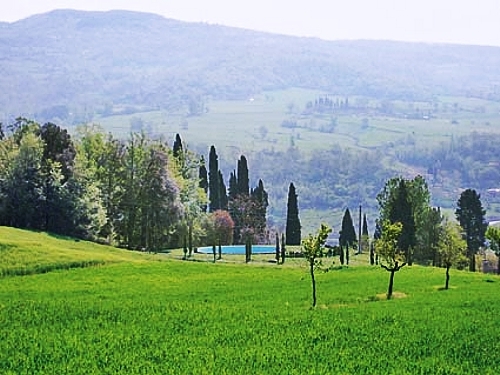 The town of Pratovecchio has all amenities and a train station to connect you to Arezzo and many other attractions in Tuscany like Florence, Siena, Chianti area and much more. It is possible to rent only 4 bedrooms, for small groups, the remaining bedrooms will stay locked. 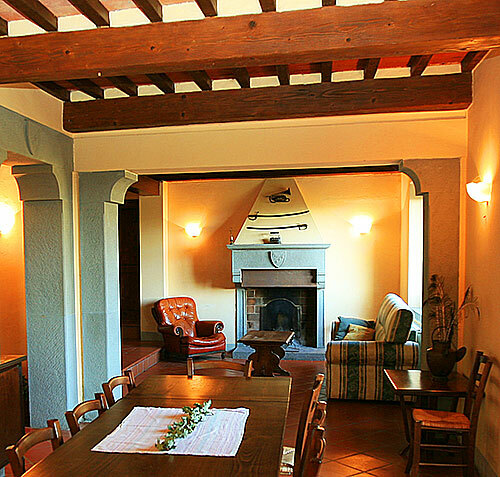 The splendid Villa Borgati is a traditional noble house set in a wide Tuscan estate, within walking distance from the charming village of Pratovecchio, in the Casentino mountains. The villa is surrounded by a huge lush garden with century old trees, flowers and orchards. Right in front of the house there is a charming gazebo with a wide table and seats for up to 16 persons to have meals together while admiring the 360° panorama. The location is secluded and very peaceful, ideal for a vacation in contact with nature. The area confines with the Casentino National Park, the largest natural park in Tuscany. Even though the villa is located only 500 mt. from Pratovecchio, a residential village provided of all facilities. You can catch a train to Arezzo, the largest closest city and from there you can take fast trains to Florence, Rome or Venice. The main door opens to a wide hall which gives access to the living area. 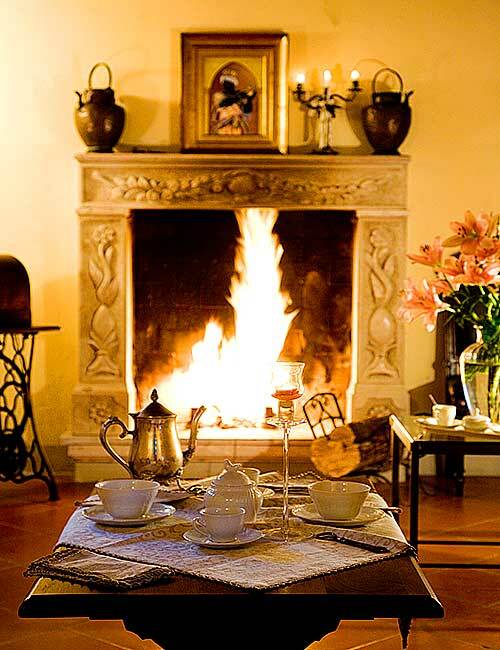 On the right there is a charming sitting room with fireplace and the dining area, furnished with a large wooden table with seats for everyone. The dining room has a French door with direct side access into the garden. On the left side you find another comfortable sitting room with fireplace and the yellow divans. Behind there is the kitchen with a second door that leads directly to the garden. 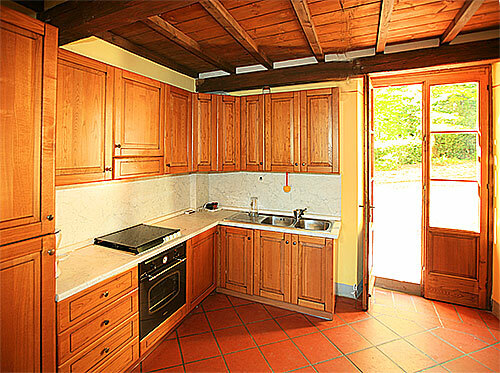 The kitchen is fully equipped with all necessary appliances, cookware, tableware and silverware for all 16 persons. There is a refrigerator with freezer, stainless steel double sink, stove, electric oven, American coffee maker, dishwasher. In the main house there are in total 7 bedrooms, each with its own bathroom, plus a service toilet with WC and Sink. The ground floor offers one large bedroom furnished with one double bed plus two single beds (optional Extra), ideal for a couple and two kids. This bedroom has direct entrance from the garden and has its own en-suite bathroom fully equipped with bathtub, shower, WC, sink and bidet. 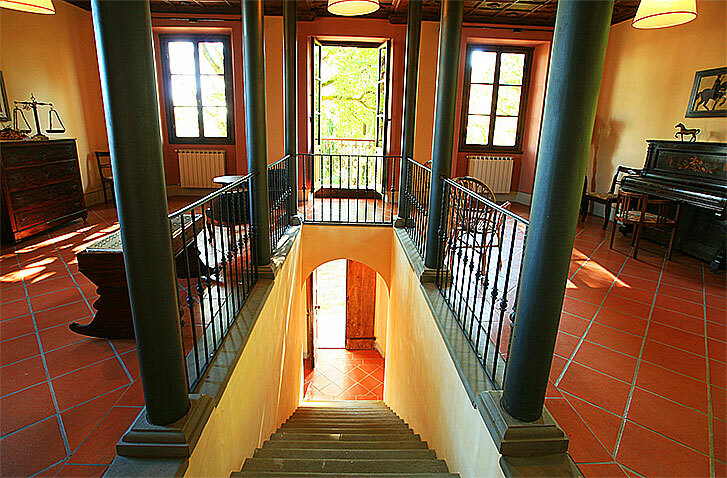 The important “Serena” stone staircase located in the centre of the house leads to the first floor, where you reach a top class hall furnished with a piano and many other noble antiques and family objects. 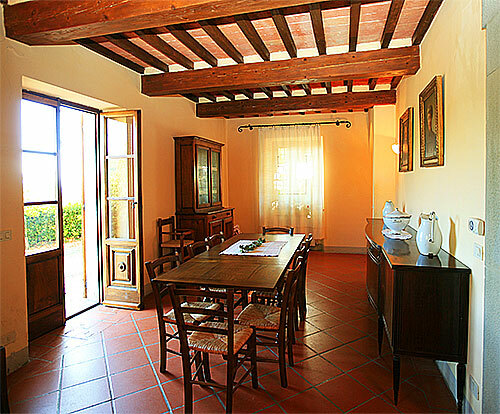 The best feature of this villa is the wooden hand carved ceiling, typical Florentine handicraft. This room is really wide and covers the whole space between the front and the back side of the villa. The balcony that opens to the frontal garden is the special touch that reflects the original Tuscan architecture. The balcony and two wide windows overlook the frontal garden while other large windows give splendid views of the surrounding hills and woods. The corridor leads to the sleeping area. The first bedroom is furnished with a double bed and has a French window with breathtaking views. Next to this room is located the largest bathroom of the villa. It includes a Jacuzzi bathtub, a wide marble double sink, WC and bidet. The second bedroom is a lovely double room furnished with two antique wooden beds joined together to make one double bed. 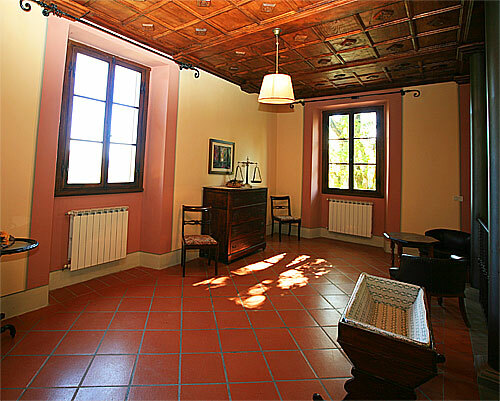 The decoration is classic and respects the original features of the villa. 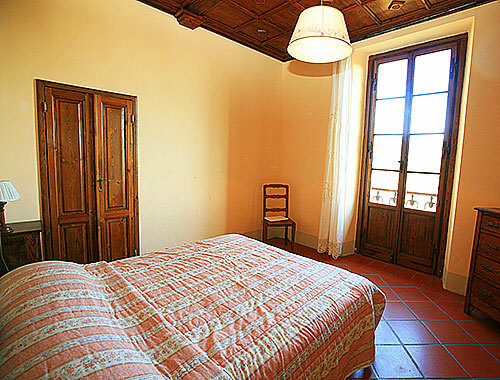 All bedrooms still preserve the original carved wooden ceiling. Then you have a bathroom which is fully equipped with shower cabin, sink, WC and . 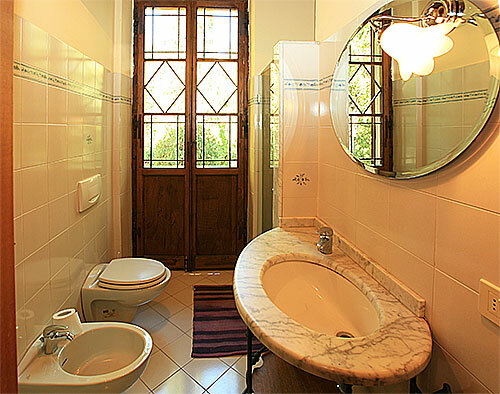 This bathroom has a French window with views over the garden and the surrounding woods. 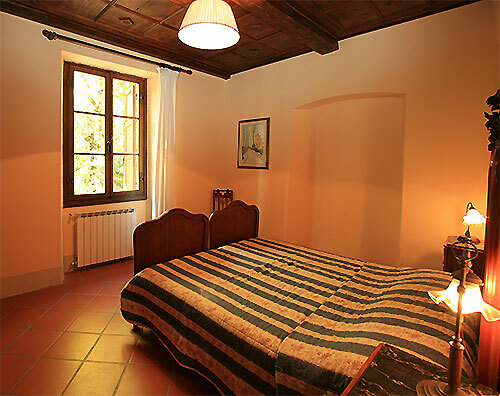 The two remaining bedrooms on the first floor are both double bedrooms furnished with wooden beds and many antiques, in the same style of the villa, with the original carved wooden ceilings. 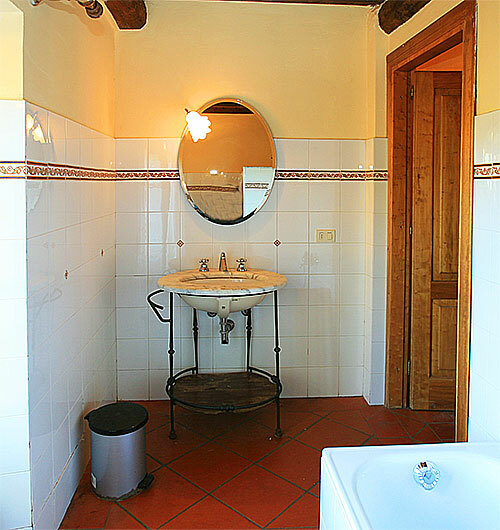 The villa is equipped with all modern facilities like washing machine, SAT-TV, stereo, central heating and open fireplace (ideal to be used off season). Only 10 mt. from the villa is located the dependence, a charming little cottage among the woods that will never be rented out separately from the main villa. The dependence includes a living room, a fully equipped kitchen, one double bedroom with Extra bed and a bathroom with shower, WC, sink and bidet. Ideal for example for a couple with child travelling together with the large group prefering to have some privacy. The wide park which surrounds the villa is equipped for outdoor meals and barbecue parties. There is a large fixed barbecue structure in a shady position under huge trees with tables and garden benches located among the woods which provide a shady spot for delightful meals al fresco. The huge swimming pool located 10 mt. from the villa in a privileged position has a surrounding equipped meadow for sunbathing and offers a terrific 360° panorama.